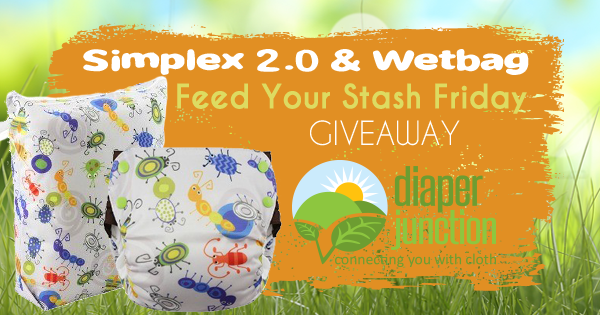 5/27/16 FYSF, Win a GroVia O.N.E Diaper & Wetbag! Today's Feed Your Stash Friday Giveaway is a great one! This week you've got a chance to win the popular GroVia ONE cloth diaper and a GroVia wetbag. The lucky winner will get to choose any GroVia ONE and Wetbag from our in-stock selection. Chiffon & Haze, GroVia's newest colors, are now in-stock! Your GroVia rainbow is about to get a whole lot prettier! Chiffon & Haze are amazing and we know you'll find a spot for them among your other beloved GroVia cloth diapers. New 'Billy Buttons' print from Thirsties is now in-stock! We're excited to announce that Thirsties Billy Buttons is now in stock and ready to ship! This adorable floral print has charm and it's rustic color palette makes it acceptable for any gender. 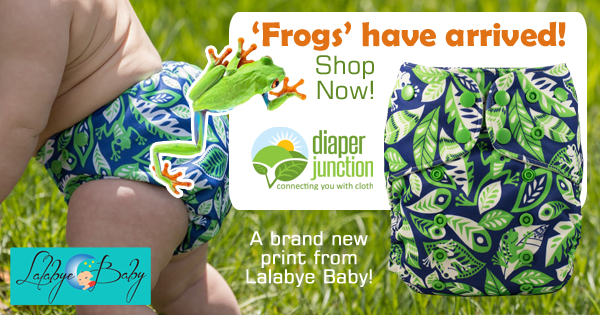 New 'Frogs' print cloth diapers from Lalabye Baby now in-stock! The influx of new prints arriving here at Diaper Junction appears to be neverending! Today we've stocked the new print, temporarily named 'Frogs,' from Lalabye Baby. This super cool print is perfect for wild summer outdoor adventures. Bright blues and playful greens make this print eye catching and fun to wear. This week's giveaway features a NEW and improved product! The Blueberry Simplex 2.0 Side-snapping AIO! 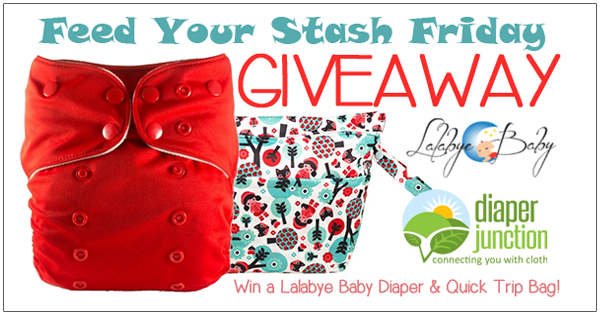 5/13/16 FYSF, Win a Lalabye Baby Diaper & Quick Trip Wetbag! This week's cloth diaper giveaway coordinates nicely with the launch of TWO new diapers from Lalabye which we stocked today! Read more here. The winner of this giveaway could choose either of the new diapers, if they're still in stock, or any other in stock Lalabye Baby diaper of their choice PLUS a Lalabye Baby Quick Trip wetbag of their choice! New OS Cloth Diapers just stocked from Lalabye Baby! The long anticipated reveal and stocking of Lalabye Baby's TWO newest cloth diapers has taken place and these great new diapers are in-stock and ready to ship from Diaper Junction! 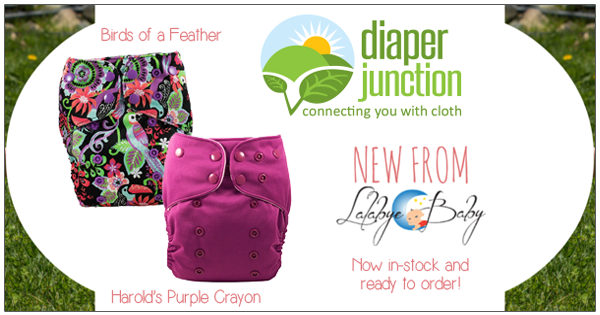 The TWO new diapers are gorgeous jewel tones and both are super stylish! Sloomb Mother's Day Sale! 10% off diapers, covers and wool care. Treat yourself this Mother's Day to some amazing wool and wool care products from Sloomb! 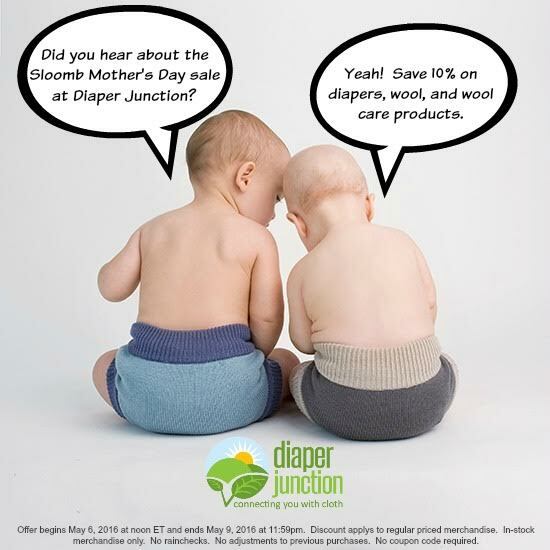 Save 10% off covers, fitted cloth diapers and wool care products May 6th @ noon through May 9th @ 11:59pm est. 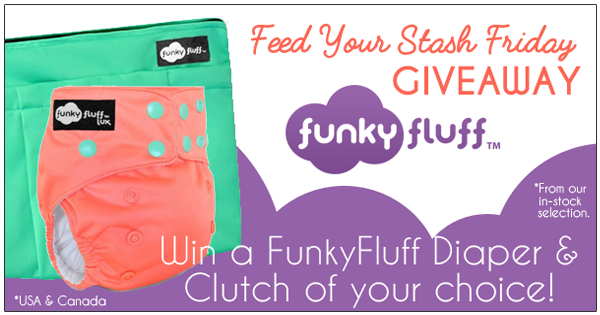 5/6/16 FYSF, Win a Funky Fluff Diaper and Wetbag Clutch! Welcome to another fine Feed Your Stash Friday Giveaway from DiaperJunction.com! This week we're featuring a fun an funky cloth diaper system with products you're sure to love. 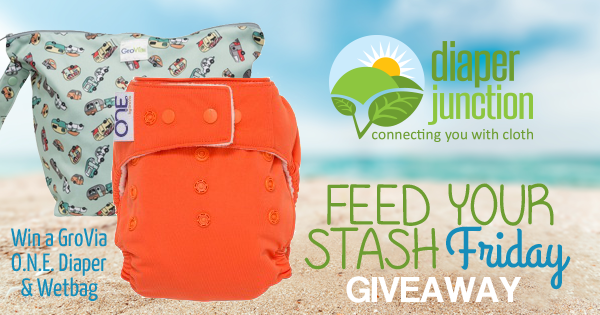 Enter to win a Funky Fluff Cloth Diaper System in the style and print or color of your choice and a Funky Fluff Cloth Diaper Clutch! 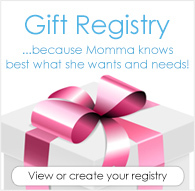 Winners must choose from our in-stock selection of Funky Fluff Cloth Diapers and Accessories. DOUBLE POINTS + FREE SHIPPING on Smart Bottoms Legend Diapers! Meet Legend, a special edition fundraiser diaper from Diaper Junction and Smart Bottoms. Never a dull moment around here! New colors from Smart Bottoms Diapers have just stocked and they're perfect for Spring! Orchid, Storm Cloud and Lemon Ice are sweet pastels with complimentary snaps you're sure to love. Brighten up your stash with these playful and pleasant new additions from Smart Bottoms. 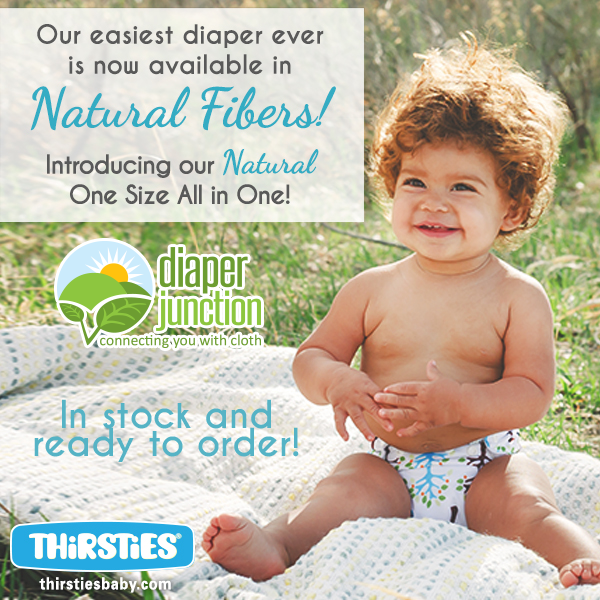 Love natural fiber cloth diapers? Then you MUST try the NEW Natural OS AIO from the popular Thirsties brand!